Do you have kids who are dying to get in the kitchen? This recipe is the perfect one to get your kids involved…no oven required. Emma adding cute sprinkles to her waffle. 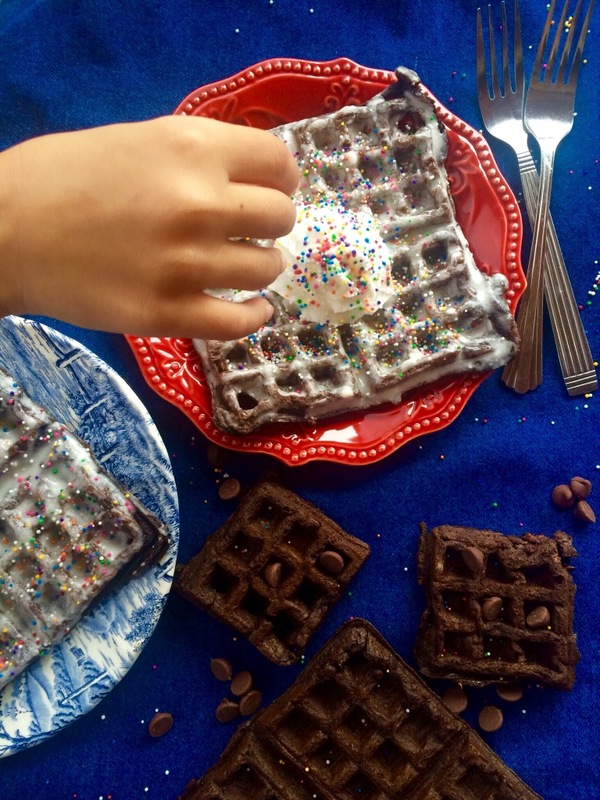 This recipe is so easy that my little eight year old friend Emma helped make these chocolate waffles. We used a cake mix to keep everything simple and the glaze is nothing to whip up. We didn’t even pull out a mixer for the batter, just mixed it by hand. 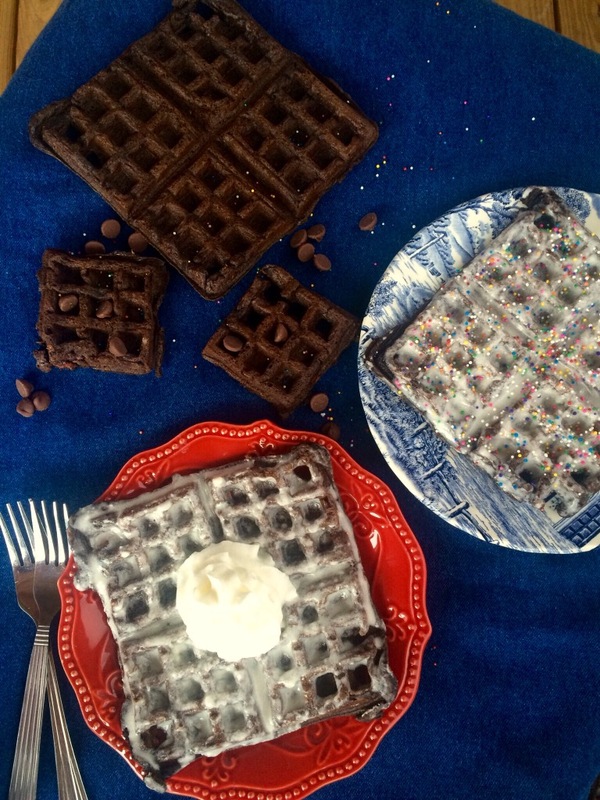 Even with these waffles being super simple to make they got rave reviews…easy and delicious. 1)You can use any topping for these waffles, we used sprinkles and whipped cream but the possibility are endless. 2)Use your favorite chocolate cake mix. I love the Dark Chocolate Fudge Cake Mix by Duncan Hines. 3)Depending on how thick you want your glaze add more milk if u want a thinner glaze. Mix together the cake mix, water, oil, and eggs. Mix in chocolate chips. Once you’ve prepared your batter preheat waffle iron and spray with non-stick cooking spray. Using a ladle fill waffle iron with batter, being careful not to over fill. Cook waffles for about 3-4 minutes. Once all the waffles are cooked prepare the glaze. Combine powdered sugar, melted butter, vanilla, and salt. Dip waffles into glaze and place on a wire cooling rack. Once all the waffles are glazed top with desired topping. Enjoy !